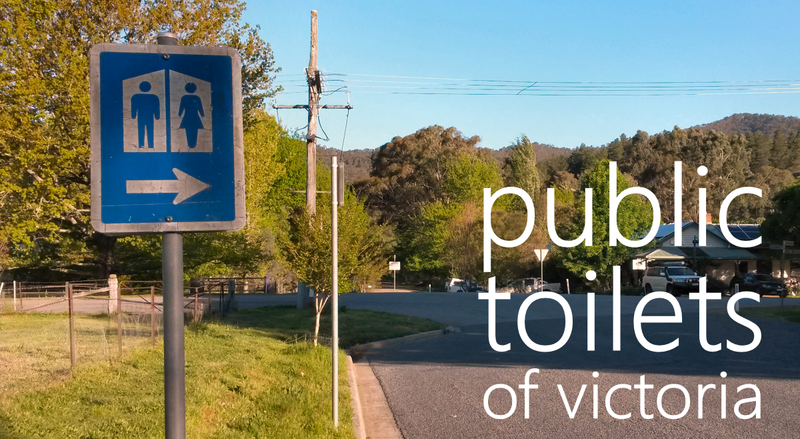 The rec reserve public toilet is often a poor cousin to the town centre public toilet. Not so in Bright! 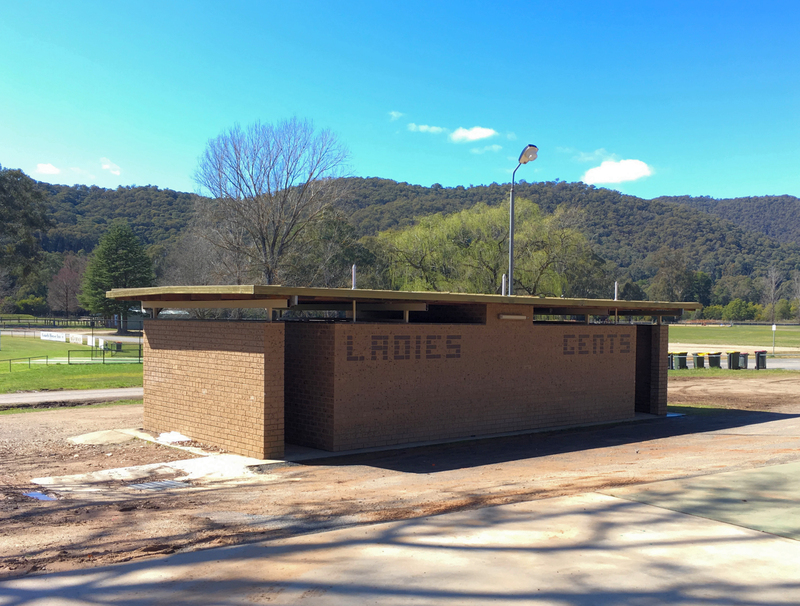 For sixty years running, the United Bright Football and Netball Club has awarded its yearly best and fairest award to this dunny block. The very sight of it is enough to make a visiting team as miserable as a bandicoot. 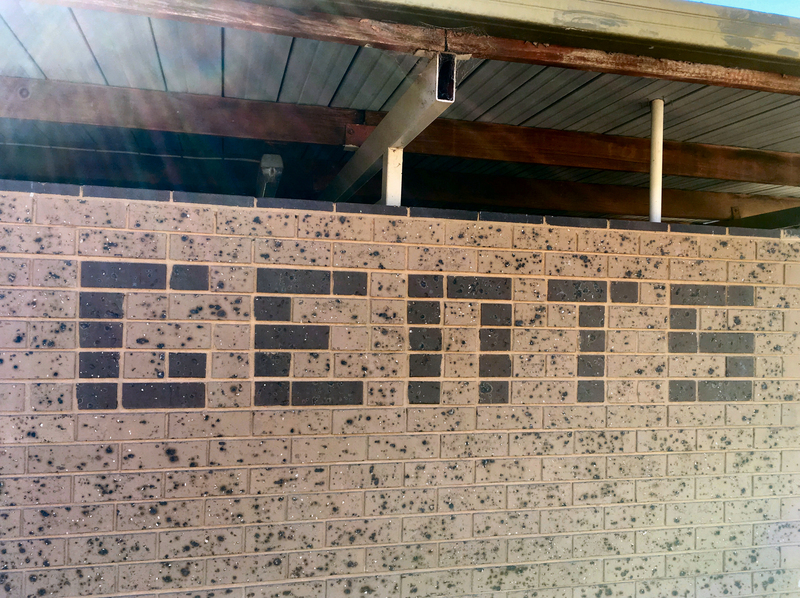 If the locals can do this with bricks, what on earth are they capable of with footballs and netballs? And it doesn’t stop with the brickwork. 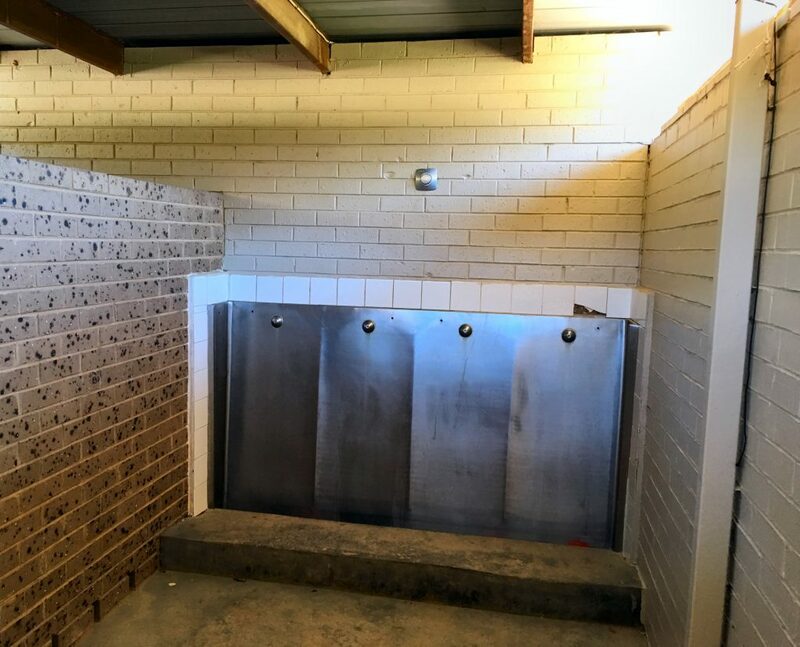 The dunny’s fully raised roof takes the fresh mountain wind well and truly out of the visitors’ sails and puts it where it belongs—freshening the loo. Why not expand your next visit to the Ovens Valley beyond the usual sights? This thing has its own streetlight, so we can only assume it’s perfectly normal to lurk around here and bask in the dunny’s majesty, no matter what the hour of night is.